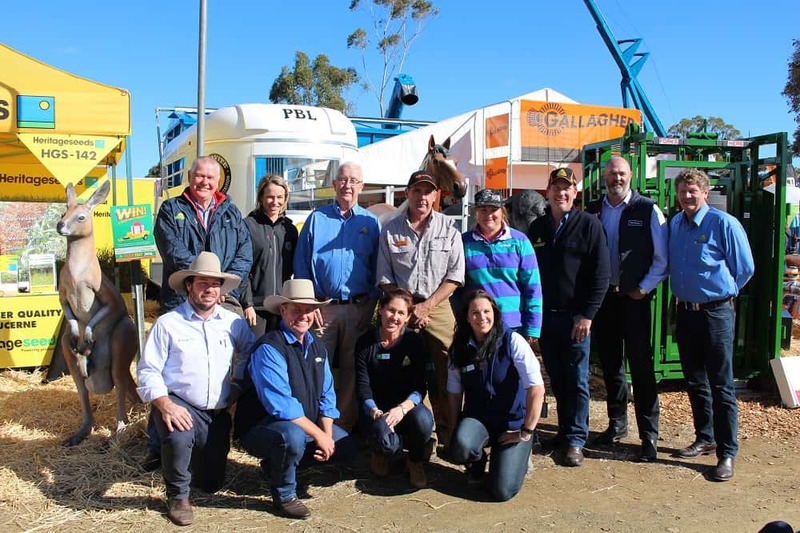 A three month long promotion by six separate CRT members scattered throughout South East Queensland was concluded on Thursday June 2 when the winner of a $10000 PBL horse float was drawn at the CRT stand at the Toowoomba Farmfest.. The winner, Mr Tony Shehan from Beenleigh, was the successful ticket holder out of more than 1000 entries lodged at CRT stores in Samford, Beenleigh, Beaudesert, Kalbar, Lowood & Pittsworth. Alan Sivkooff, owner of CRT store, Gleam O Dawn Rural Store said that the competition was highly successful and all 4 suppliers and 6 participating stores were looking forward to promoting a similar concept in the near future. “Already there are a number of additional suppliers who want to join with us in another venture and we will be assessing our options at the post promotion evaluations”.